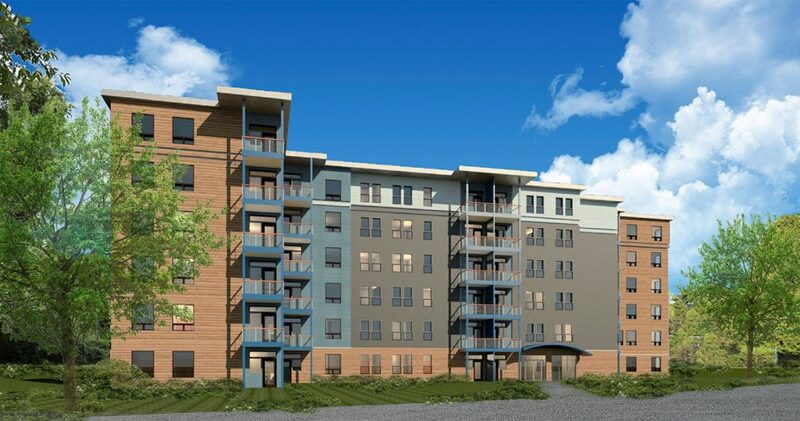 The Residences at Clark's Pond and Thornton Heights Commons would add a total of 298 apartments to Greater Portland's tight and increasingly costly rental market. SOUTH PORTLAND — The Planning Board approved two housing projects Wednesday night that promise to make a dent in the city’s tight and increasingly costly rental market. The board unanimously approved preliminary subdivision plans for The Residences at Clark’s Pond, a 256-unit, market-rate apartment complex to be built at 450 Clark’s Pond Parkway, near Home Depot and the Maine Mall. The board also voted 7-0 to approve preliminary subdivision plans for Thornton Heights Commons, a 42-unit apartment building at 611 Main St., site of the former St. John the Evangelist Catholic Church. Developed as workforce housing by the South Portland Housing Authority, the building would include subsidized and market-rate apartments. While both projects need other approvals before construction can start, unanimous approval at this point was a significant step in the review process, said Tex Haeuser, city planning director. The Residences at Clark’s Pond is a $20 million project that would be built on 10 acres between the parkway and Interstate 295. 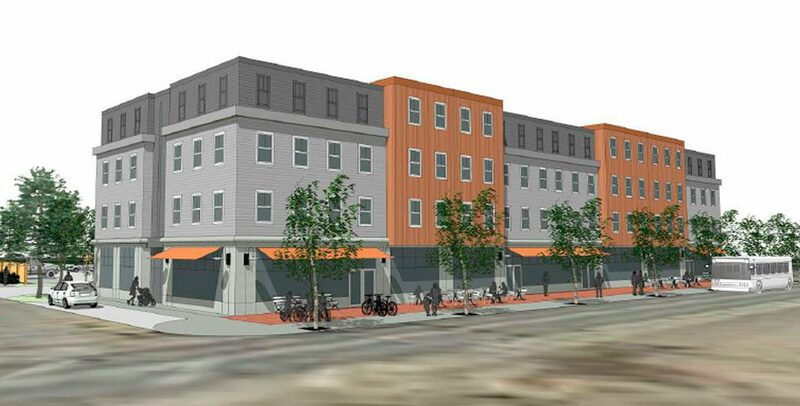 South Portland developer Vincent Maietta plans to build four, six-story apartment buildings that would include 212 two-bedroom units and 44 one-bedroom units. Maietta’s project became possible after the City Council approved a zoning change last year that increased the number of housing units allowed in the mostly big-box Suburban Commercial District near the Maine Mall. Planning Board members praised Maietta’s effort to increase rental housing in the city, the varied architecture throughout the project and the fact that it would complete a quarter-mile gap in sidewalks along the parkway, Haeuser said. Thornton Heights Commons is a $9.4 million project that would be built on 2 acres in the center of the Thornton Heights neighborhood. The four-story building would include 6,000 square feet of commercial space on Main Street/Route 1, three single-family house lots to the rear of the property and dedicated open space. The apartments would be rented at market rates; 33 units would be subsidized with funding through the Maine State Housing Authority and dedicated to people who make 60 percent of area median income or less, said Brooks More, the local authority’s development director. Median household income in South Portland was $56,250 in 2016. Despite some opposition from the surrounding residential neighborhood, the council approved a zoning change in May that made the project possible. If financing plans work out, construction would start this fall and be completed mid-2020. Planning Board members again lauded the project for addressing the city’s need for rental housing, along with the single-family house lots and the open space that would be included, Haeuser said.